I'm a chocohaulic. I pretty much want chocolate all the time, any time of day. 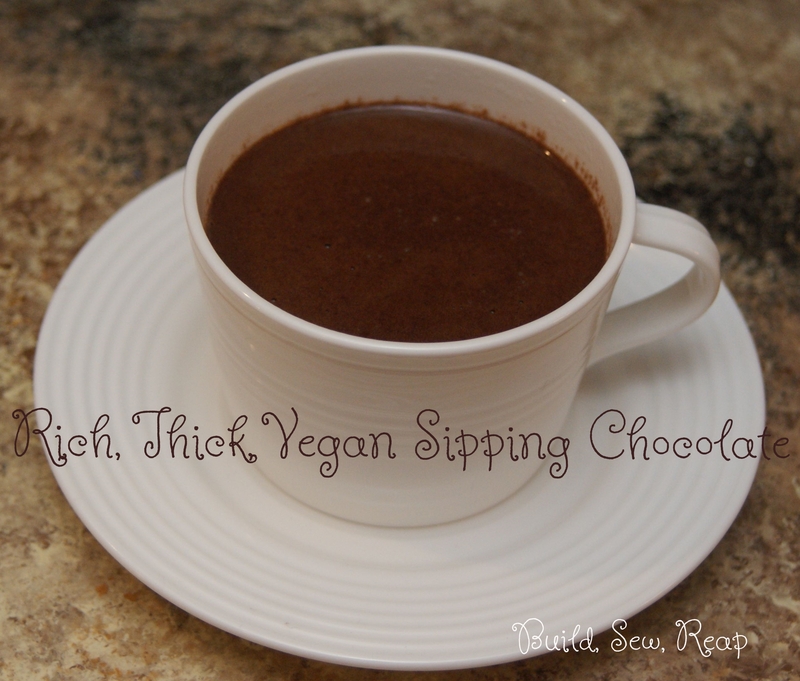 One day I was having a particularly bad craving (I'm sure it had nothing to do with having watched Chocolat a few days earlier) so I decided to try to make some rich, thick, dark, tasty sipping chocolate. It didn't take much before I felt like I had created something fantastic. Add it all to a pot and mix well with a whisk or an immersion blender. Heat on high heat to just boiling, stirring often. As soon as it starts to boil, turn it down to medium low and keep stirring until it calms down. Watch to ensure it doesn't boil over (although the burning chocolate does smell good when it hits the burner). Keep heating and stirring until it thickens, just a few minutes. When it seems to be thickening, pour it into a mug and allow to cool to sipping temperature. It should thicken as it stands.